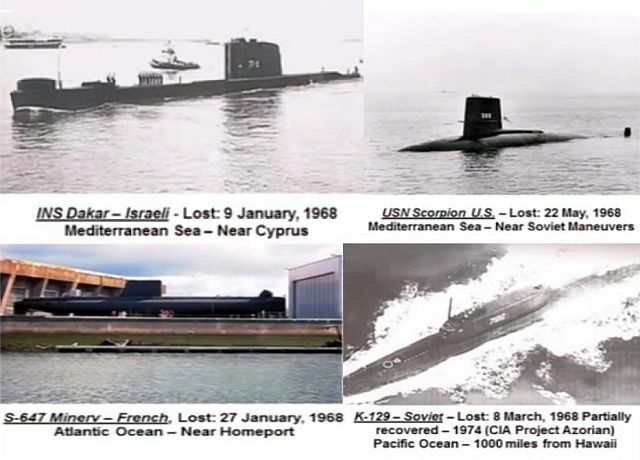 There are many strange facts surrounding a number of missing submarines like the four submarines lost in 1968; The INS Dakar – Israelo, the USN Scorpion U.S., the S-647 Minery -French and the K-129 – Sovjet. Joseph was on duty on an Ocean Station patrol on the Coast Guard Cutter Mellon. It was during this patrol that they had a number of unique UFO sightings that included radar and visual verification by a number of witnesses. Three objects passed over the ship traveling at 3500 mph having approached the ship from the direction of where the sub was lost. Flying time of note from OSV to that site at that speed recorded and verified was approximately 10 minutes. It is highly possible that the UFO phenomenon, and what could have been a very dangerous “rogue” operation gone array, possibly leading to what could have been one of the most significant event. Even thought this may only be anecdotal data it may help penetrate the veil of secrecy and mystery surrounding submarines.